Hint: Put down that bottle of cleaning spray! As with any electronic item, televisions attract dust and are magnets for smudges and children’s fingerprints. Luckily, learning how to clean a flat-screen TV is fairly straightforward, requiring very little time and few materials. Regardless of whether you have an LCD or a plasma TV, all flat-screen TVs are made out of thin, flexible materials and should be treated very gently. They have extremely sensitive components, and using chemical cleaners may lead to a broken or blank screen (so skip the window cleaning spray!). Even ordinary kitchen towels or paper towels can cause marks and scratches on the screen. 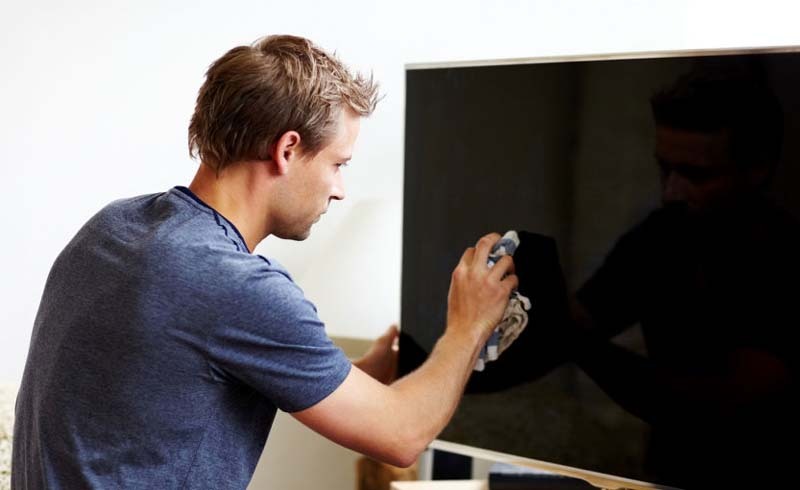 Here's the right way to clean a flat-screen TV and prevent costly damage. Shutting off your monitor will not only help you see where dirt and dust have collected, but it will also give your screen time to cool down. A warm or hot screen will be harder to clean, increasing the chances that you'll accidentally damage it if you scrub too forcefully. Consult the Owner’s Manual (seriously!). If you take a quick survey of the different cleaning recommendations from various flat-screen TV manufacturers, you’ll quickly discover that many of the directions conflict with each other. When in doubt, check your owner’s manual or look online at the manufacturer’s website for instructions on how to clean your flat-screen TV. This cautionary step will prevent you from doing something the manual warns against, thus voiding your warranty. Wipe Only With a Soft Cloth. Gently wiping the screen with a dry, soft cloth may be the only universally agreed upon method for cleaning a flat-screen TV. While this will likely take care of any surface lint, it may not be enough to remove oil or dirt. Be warned, an attempt to scrub the screen by using any amount of pressure may only cause the liquid crystals inside to misalign or burn out. Then, Try a Damp Cloth. Unless your owner’s manual specifically prohibits it, carefully wipe the screen with a damp, lint-free cloth. 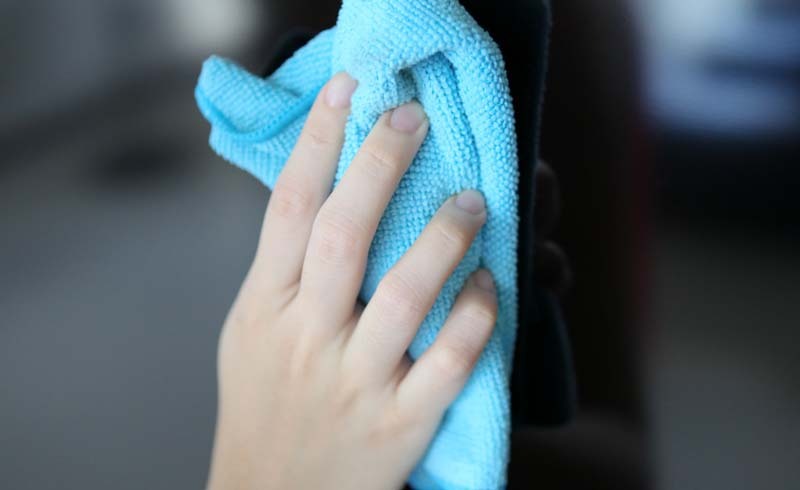 When using water, be sure to spray onto the cleaning towel rather than directly onto the screen. This will give you more control over where the water is going and how much is being used. Have a dry towel handy for carefully drying off the screen. In certain instances, like when your TV gets mixed up in a food fight or when a child with grimy hands insists on touching the screen, you may need to use a little soap to clean the surface. Mix a singular drop of dish soap into one-fourth cup of water and apply to a soft cloth. Wipe the mess away using the soapy cloth. Then, lightly dampen a second cloth in water to wash off any soapy residue. Finally, dry the screen with a third soft, lint-free cloth.